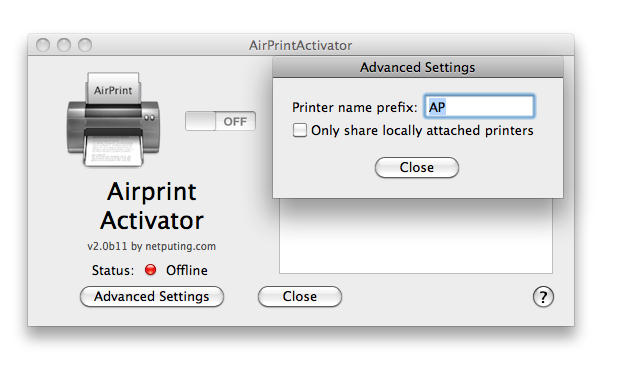 I just released a new version of AirPrint Activator (APA). This new release add a new advanced setting that allow users to only share local printers (like APA v2.0b1 to v2.0b9 did). This allow users to stop the advertisement of non locally shared printers. This new version also changes how the local hostname is validated against the advertised printer record. This should help fix some of the issues reported by a few users. Last, I moved some code around to make it cleaner. You can grab a copy of this new version by going on the main APA v2 page right here. For suport head over the forum.